The City of Hilliard operates two municipal pools: the Hilliard Family Aquatic Center and the Hilliard East Municipal Pool. In addition to providing a safe space for families to play and spend time together, the municipal pools also organize swimming lessons and events for community members of all ages. 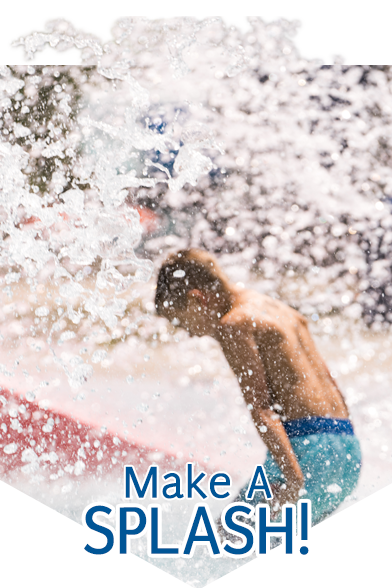 Hilliard Family Aquatic Center and Hilliard East Municipal Pool are seasonal outdoor facilities and pool passes are valid at both locations. Download the 2019 Pool Guide Now! Pool memberships go on sale January 2, 2019 and can be purchased online, by mail or in-person at the Hilliard Community Center. Send a completed membership form and a check payable to the “City of Hilliard” to the Hilliard Recreation and Parks Department at 3800 Veterans Memorial Drive, Hilliard, Ohio 43026. Visit the Hilliard Community Center during hours of operation. · Age is 65+ for Senior Pool membership. Members of the Phyllis A. Ernst Senior Center (55+) can purchase a discounted pool membership at the senior rate prior to meeting the 65+ age requirement. Become a member of the Phyllis A. Ernst Senior Center today ($15) to receive this benefit. ID Required. Military Discount: Military personnel and their immediate family receive a 10 percent membership discount.